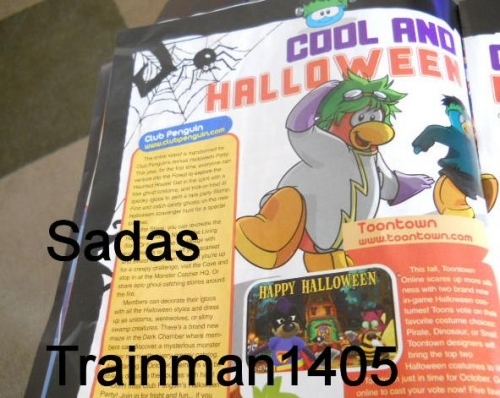 Popular magazine publishing firm Beckett has included an article about Club Penguin in their most recent issue, giving away a lot of information on what to expect. 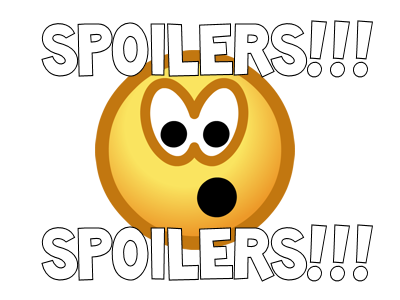 I’ve already found out some information, including the Monster Mash stamp will be unlockable (already is, actually) and a whole list of clothes that will be either in the catalog or Halloween Party. The entire island is transformed for Club Penguin’s annual Halloween Party. This year, for the first time, everyone can venture into the Forest to explore the Haunted House! Get in the spirit with a free ghost costume, and trick-or-treat at spooky igloos to earn a rare party Stamp. Find and catch candy ghosts on the new Halloween scavenger hunt for a special surprise. At the Stage, you can re-create the Halloween classic Night of the Living Sled. Or head to the Ski Village with some friends to show off your scariest and silliest Halloween styles. If you’re up for a creepy challenge, visit the Cove and stop in at the Monster Catcher HQ or share epic ghoul catching stories around the fire. Members can decorate their igloos with all the Halloween styles and dress up as unicorns, werewolves, or slimy swamp creatures. There’s a brand new maze in the Dark Chamber where members can discover a mysterious monster maker room with a very creepy catalog. And starting in October, members will be able to dress up their Puffles with hats! Don’t miss Club Penguin’s Halloween Party! Join in for fright and fun…if you dare. The Stage will FINALLY be getting a new stage play! It’ll be along the lines of Night at the Living Sled. We haven’t gotten a new stage play since Secrets of the Bamboo Forest in February 2010. Phew! Members will be able to dress up their Puffles with hats soon! Awesome! I can’t wait until it’s October, as it seems like it will be a promising month on Club Penguin! Thanks again for the awesome information Sadas! hey um, you’re wrong. The last new stage play was The Secrets of the Bamboo Forest in February 2010. Whoops! I guess I was wrong. I fixed it. That or in the catalog. I see also that there is a rare party Stamp. What is it? We do not know yet. Could be Monster Mash. Are you sure there will be a werewolf costume? Well, looks like this is all 100% confirmed now. Thanks again for posting this Trainman! @kimberly: It was confirmed by BillyBob himself in a new video that both members and non-members will be able to access the Haunted House, and there will be a free Ghost Costume for everyone there. Hey Train I havent seen you in a while SO EXITED ABOUT THE ANNIVERSARY AND HALLOWEEN PARTY! wow a free ghost costume for everyone! I think thats the first non-member item thats not a hat since…the music jam shirt in 2008? What is the Monster Catcher HQ? Does it even exist? Yes, it’s at the Cove. Well what I mean is, what is it and is it only that thing at the Cove?